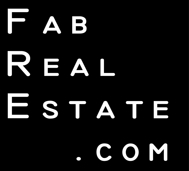 Fab Real Estate Blog: Hurry Up and Wait! You are right. The short-sale is not for every buyer they do have to be patient. If the buyer has the patience they will end up getting a terrific deal. They MAY end up getting a terrific deal...or they may end up wasting a month or two of their lives chasing something they'll end up not getting. Pat - Patience is a virtue. Actually, it's a must when working with a short sale! Andy - With so many short sales falling apart, it is quite possible that at the end of the day, the buyers may need to begin looking for a home again. That is why buying a short sale is not for everyone. James - We thought the analogy was quite appropriate! Don, Nice analogy. I haven't down a short sale but I have arrived at the airport a couple hours early. Waiting is frustrating. HA! A week ago we finally settled a short sale on a property we wrote on in April. I think some of these self-serve checkout lanes at the grocery store, my computer on Monday mornings, and Active Rain on the weekends, are programmed with special versions of the "Hurry up and wait" software. Don, great comparison...really spells it out. Patience is the key in a short sale, hurry up and wait! Thanks for reminding us that everyone's going through this! I have a short sale listing right now with 2 offers on the table. But, you are right. Hurry up and wait. Jen - All things must happen on the lender's time schedule. "This paperwork must be in by tomorrow." Fine, here it is. "OK, now you wait until we decide to respond..."